Retail Floor Layout Fundamentals - Retail Design & Construction | Southern Projects Inc.
Did you know that designing an effective floorplan is the best way to ensure your business turns a profit? Your store layout directly affects your bottom line. Anticipating how your prospects will move through your retail space will enable you to make strategic decisions about product placement. From convenience stores and service stations to boutiques and large chains, there are proven methods for keeping customers engaged, shopping longer, and purchasing more. What journey will you take your customers on? The entrance to any retail space is a transition zone. Once your prospects cross this threshold, they immediately make decisions about your business. They are transported from their everyday lives into a space that is new and unexplored, and will quickly evaluate virtually every aspect of your store. From the perceived quality and pricing of your products, to your colour scheme, shelving design and lighting, everything counts. With this in mind, your entrance area is not ideal for placing new products or promotions. Buyers are distracted and more likely to focus on merchandise once they are well inside your retail space. Ensure your entrance is spacious and welcoming and draws shoppers in with the promise of more items to see. Did you know that majority of customers turn right when entering a retail space? Traffic flows counter-clockwise. Keep your best-selling products or special promotions highly visible. 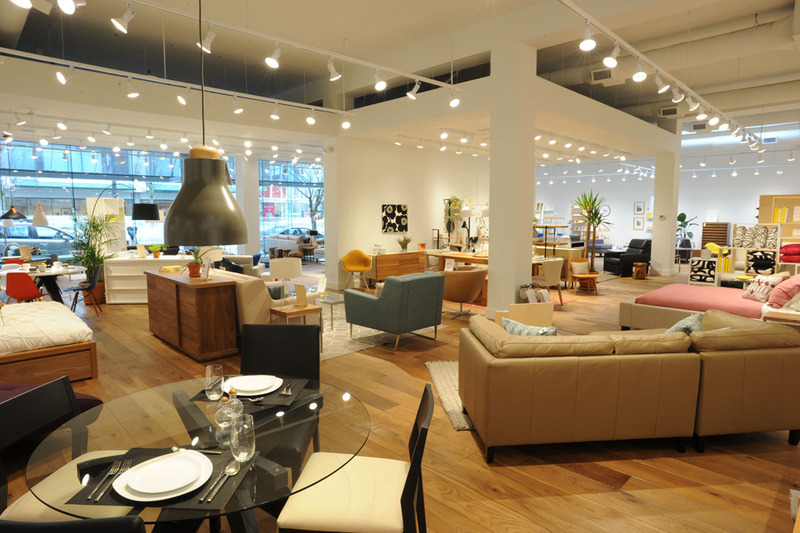 Design your floorplan so that shoppers are encouraged to walk through the entire store. Imagine how traffic will flow and purposely create a path that your prospects will take. Many retailers encourage a circular walk from the front of the store to the back, and place the checkout at the most natural stopping point. The floorplan should intentionally lead individuals in a direction where they will see the products you want them to buy. A common mistake retailers make is not creating a visual break or “speed bump”. A display that is strategically located in an aisle of uniform shelving will distract shoppers and encourage more browsing. When products are uniformly displayed, customers tend not to stop. Creating angles in the floorplan will encourage circular pathways and keep buyers interested. Shoppers move faster down straight aisles, often missing key products that retailers would like to promote. While there are many variations in retail space layout, straight floor plans which feature fixtures and displays at right angles are efficient and easily customizable for many small businesses. Variations on the straight floor plan include a grid layout, loop layout or a free flow layout. As a general rule, free flow retail floorplans encourage browsing and do not maximize space. They are better suited for displaying higher priced exclusive merchandise. Store lighting is a key element of your retail floorplan. Use spotlights to create ambiance and illuminate displays, guiding customers through your space. Quality shelving that is well positioned will accentuate your brand. Consider angled shelving to maximize corner areas and add visual interest. The idea is to keep customers shopping longer and purchasing more! Consider what products logically go together when planning your retail layout. For example, a kitchen store will likely sell more candles if they are placed near candle holders. Utensils and serving bowls go together, as do placemats and tablecloths. Some of today’s best retailers regularly mix up groupings to create novelty for their customers. Give shoppers ample room to move through your retail space and give consideration to those with wheelchairs or strollers. Do children need a special area to play while their parents shop? Avoid congestion wherever possible and provide stools or benches as needed. Designing your retail layout is not an exact science. As your products change over time or your business grows, keep testing your floorplan for efficiency. Encourage those you trust to walk through your space and give you honest feedback so you can keep your store fresh and inviting. 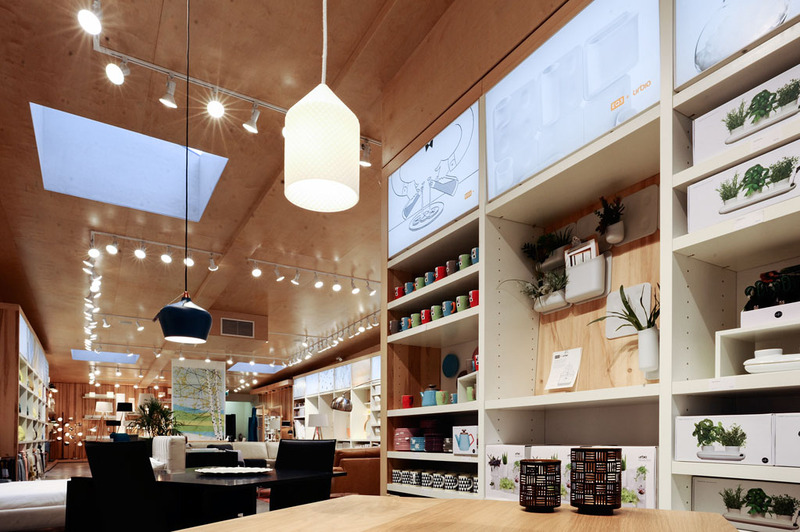 For more retail store design advice, contact our team today! The retail construction and design industry is fast-paced and always evolving. If you are a dynamic and driven individual looking to grow in a positive team environment, we’d love to hear from you. We also welcome the opportunity to partner with other professionals including interior designers, architects, planners or investors to help deliver quality results for their clients. Familiarize yourself with today’s best commercial planning, construction and design trends in retail, grocery, pharmacy, and restaurant. Be inspired and keep informed on the latest construction materials, building ideas, and fresh approaches to designing interior spaces. © 2019 Southern Projects Inc.